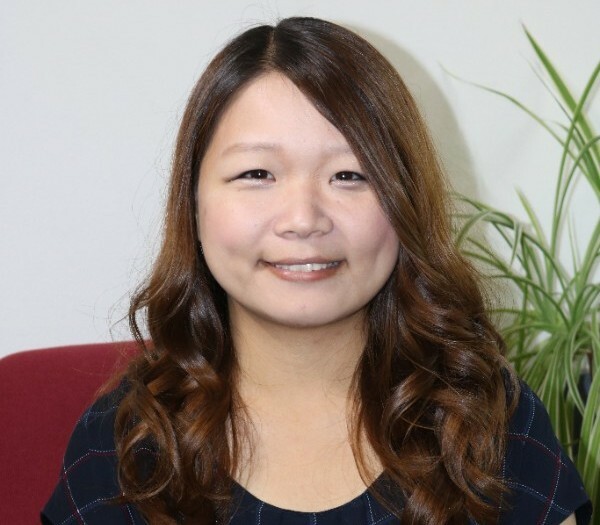 As a Long-Term Education Administrator Program (LEAP) intern with Japan’s Ministry of Education, Ayaka Kurita will call the UA Office of Global Initiatives her home office until March of 2018. Ayaka is visiting from Kyushu University in Fukuoka, Japan where she assisted the President and Executive Vice President and previously served in the Endowment Management division. During her time in Tucson, Ayaka is interested in expanding her knowledge of international education, specifically in the areas of marketing, branding, communication, event planning, and recruitment. Ayaka holds a bachelor’s degree in Foreign Studies from Aichi Prefectural University in Japan. Where is your favorite place to travel? Southern Germany. The scenery and castles are great. Where would you love to visit? Mexico. Cancun seems very beautiful. Who’s your favorite celebrity? I like Adam Levine from Maroon Five! What is a fun fact someone might not know about you? When I was a child I did judo, and I won the silver medal at a local tournament. What is your favorite type of food? Japanese! I especially like yakitori, a kind of barbecued chicken, and motsunabe, a kind of beef soup. What is your favorite thing to do in Tucson? I’m still getting familiar with Tucson, so I like to walk around and find good cafes and restaurants. Where is your favorite place on campus? The main library. I really like the atmosphere there. What is your favorite thing about working with OGI? I’m still getting familiar with the office, but many people communicate with me and I’m very happy to talk with them. How can you help OGI colleagues? I have experience working at a Japanese national university and with the Japanese Ministry of Education, so I can share my knowledge about that and also provide support to maintain a relationship with Japan. What is your typical day like? I’m focusing on a different field across campus each month. I’m also making a resource for students who might want to go to Japan, and I’ve observed a class about Japan through East Asian Studies.